This clinic hasn't been claimed by the owner or a representative yet. Claim this clinic to edit business details and business hours. As part of the larger NextCare Urgent Care, this clinic has affiliates with the closest other clinic being in San Antonio about 6.0 miles away and is open today from 8:00am to 8:00pm. 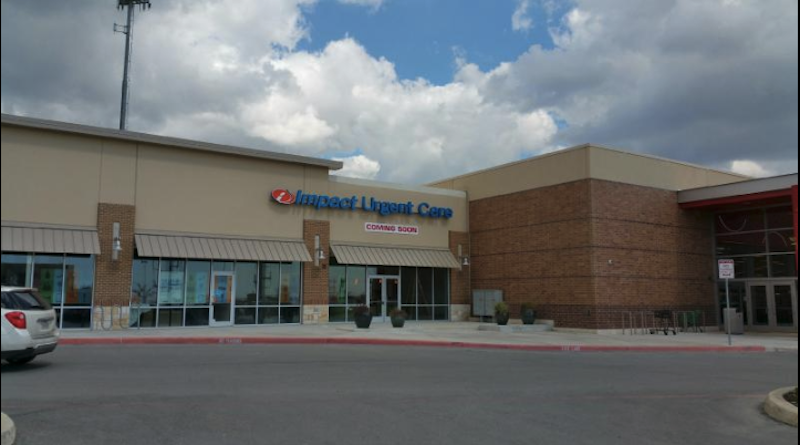 Recognized favorably amongst their patients, Impact Urgent Care, San Antonio (Terrell Plaza) has an average rating of 4.8 stars out of 5 based on 754 total ratings. In fact, recent patients have frequently used words such as "ambiance", "bedside manner" and "timeliness" to describe their experience at the clinic. Certainly not terms you hear about healthcare providers too frequently! If you are looking to learn more about urgent care including statistics, trends, FAQs and other useful information, check out our blog to empower your knowledge as a healthcare consumer. Impact Urgent Care accepts many major insurance plans and multiple forms of payment, making it easier to get the affordable care you need. It is always a good idea to contact your insurance company before your visit to ensure the Clinicis in network for the service(s) you're seeking. All reviews are opinions of patients and do not represent the opinion of Solv. On vacation with kid who got strep . They were really nice quick and target right next door to get meds . Excellent! So glad to find Impact Urgent Care! Will definitely go back! Receptionist Sally is consistently pleasant and quick to check us in. (Have been here many times now.) driving. Gonzales is very helpful. PA I saw once was also very nice. The assistant is nicer than she appears. She doesn't great happily, but she will converse with you if you prompt her. I hope you keep this staff. Thank you. My first visit from beginning to end was very positive. I will definitely go back. Thank you. I already feel better. It was very efficient and helpful. I had to wait awhile because I wasn’t aware “you could call ahead to get in line”. Now have you in my phone to utilize it next time. I was seen immediately. Doctor gave me what I needed to get better. Very,friendly. Clean and quick, what more could you ask for? I would use them again. I booked an appointment online so I had a very minimal wait when I got there, less than 10 minutes which was used to complete my forms. Every staff member was extremely friendly from the front desk receptionist, the technician to the PA. The treating PA, Alexandra Naschke, had fantastic bed side manners, she thorough but quick with her exam(s). I would definitely recommend them for anyone requiring urgent care. Thank you and keep up the great job! Very good atmosphere and staff, made my son feel very comfortable. Can’t thank them enough. In the event of a medical emergency, dial 911 or visit your closest emergency room immediately.